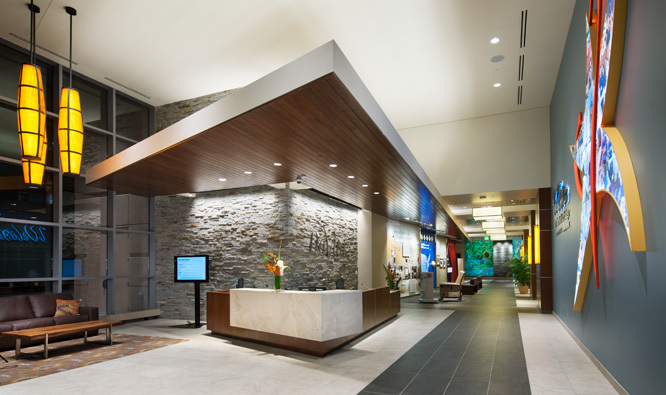 DaVita, Inc. is second largest provider of kidney dialysis in the US. 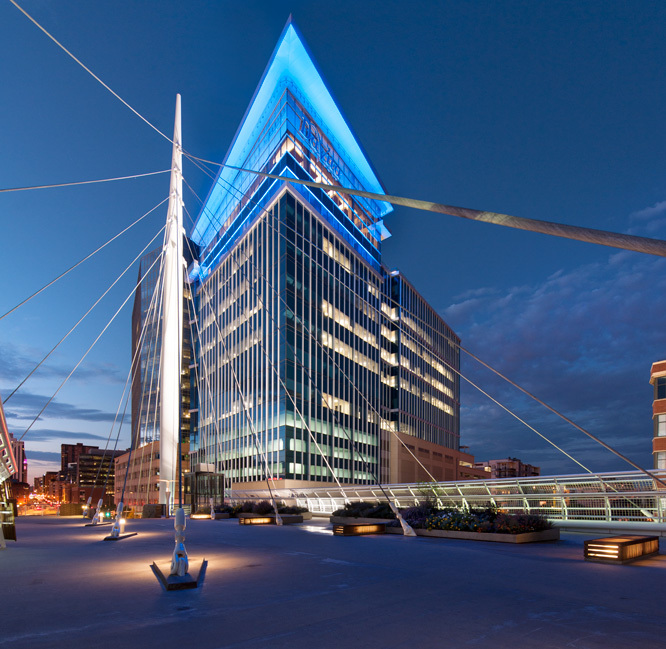 The DaVita World Headquarters building contains a total of 430,000 gross sq ft. and is located at the foot of the Millennium Bridge at the corner of Chestnut and 16th Street in Denver, Colorado. 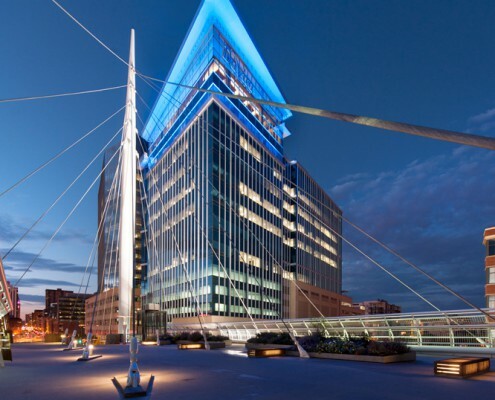 DaVita World Head Quarters houses a 14th Level Terrace and Market-Place (employee cafeteria), 7th Level DaVita University (training center) ground level lecture halls, fitness center, lobby and outdoor patio on the 16th Street Mall. 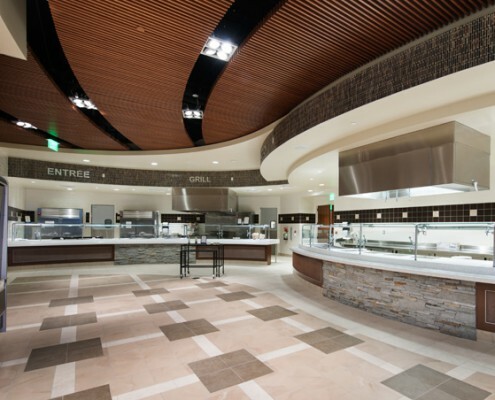 A sustainable and healthy workplace was a top priority for the leadership of DaVita when constructing this facility which generated a LEED Gold Certification. 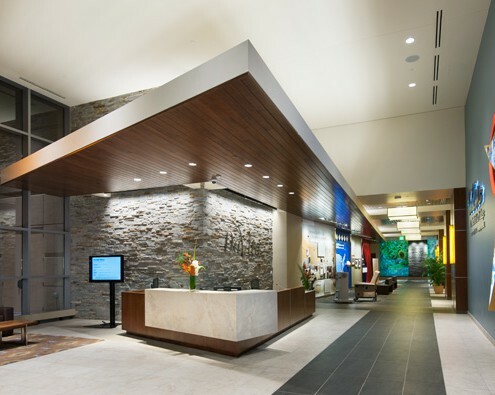 The headquarters facility offers vast amounts of daylight, stunning mountain and downtown views and fresh air. 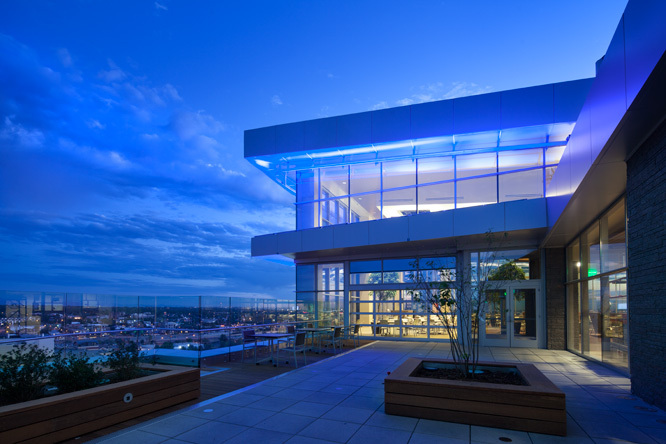 DaVita University, serving the training and learning needs of thousands of teammates annually, is located on the 7th floor, which allows daylight, views and walk-out access to an exterior landscaped and furnished terrace. 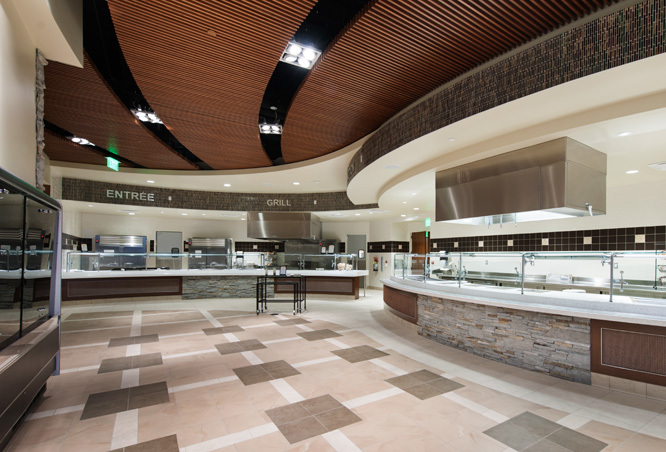 The Top level, typically non-accessible in most buildings, is home for the large “DaVita Marketplace”, a multipurpose space for community “Town Hall” meetings and daily cafeteria service. 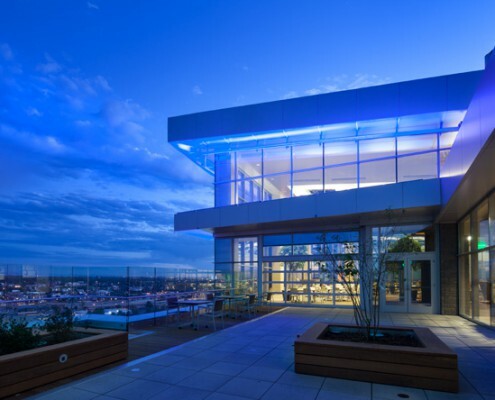 This unique space provides soaring expanses of glass and a large walk-out landscaped and furnished rooftop terrace to refresh and inspire teammates and visitors alike with the 300 days of sunshine and Rocky Mountain views Denver has to offer.